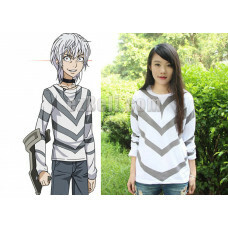 Accelerator (一方通行アクセラレータ, Ippō Tsūkō (Akuserarēta), lit. "One-Way Road") is the name used to refer to the strongest esper currently residing in Academy City. 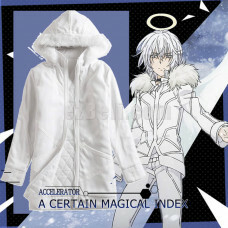 He is the second protagonist of the Science Side in the Toaru Majutsu no Index series. 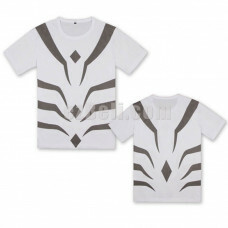 First appearing chronologically in Toaru Majutsu no Index as an antagonist, he later becomes the primary male protagonist of the Science Side after being defeated by Kamijou Touma. His journey to a more "heroic" role in the story progresses after meeting and saving Last Order, and is forced into an ironic twist of fate where his life now depends on the Sisters, clones he previously killed by the thousands. 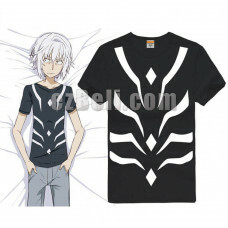 He is also a major antagonistic character in Toaru Kagaku no Railgun and the protagonist of Toaru Kagaku no Accelerator. 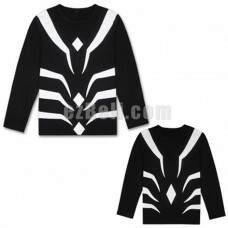 Includes: T-Shirt Material:Cotton Fabric Measurement (CM): ..
Includes: T-ShirtMaterial:Cotton Fabric Measurement (CM):	Size	TShirt Length	Bust	..
Includes: Long Sleeves T-ShirtMaterial:Cotton Fabric Measurement (CM):	Size	TShirt L..
Includes: Cosplay JacketMaterial:Cotton Fabric Note: All dimensions are measured by hand, ..